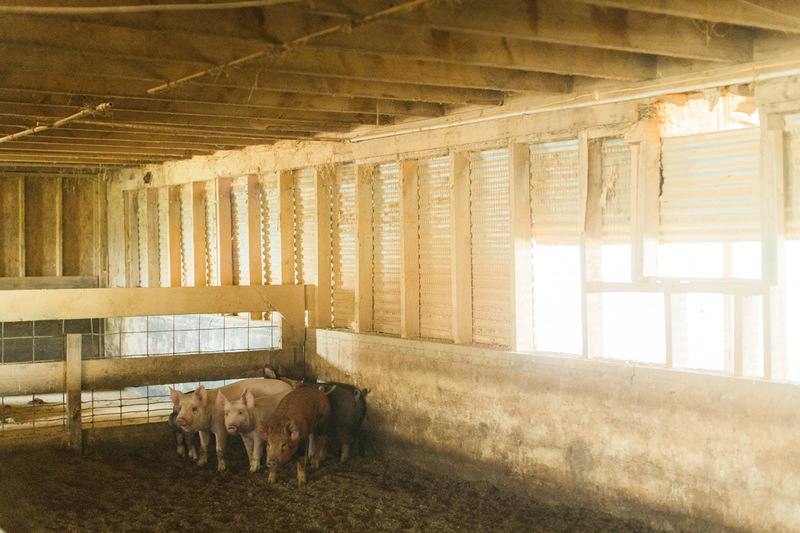 Our Non-GMO Swine Feed Assists With Healthy Hog Growth. Healthy hog growth includes the right diet. We raise happy hogs on our family farm and know firsthand how critical diet is to keeping hogs healthy so that they raise healthy piglets. 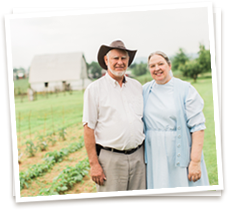 Sunrise Farms houses a mill that produces fresh swine feed from non-GMO whole grains and organic mineral blends supplied by trusted partners, and cultivated home recipes. We blend the ideal balance of protein, fat, and fiber to encourage natural growth for healthy hogs. Our feed contains no added hormones, no antibiotics, and no medications. Our mill allows us to adjust the coarseness of the grain to your specifications. We also produce soy-free swine feed to meet the growing demand to prevent soy in meat for those with soy sensitivities and allergies. 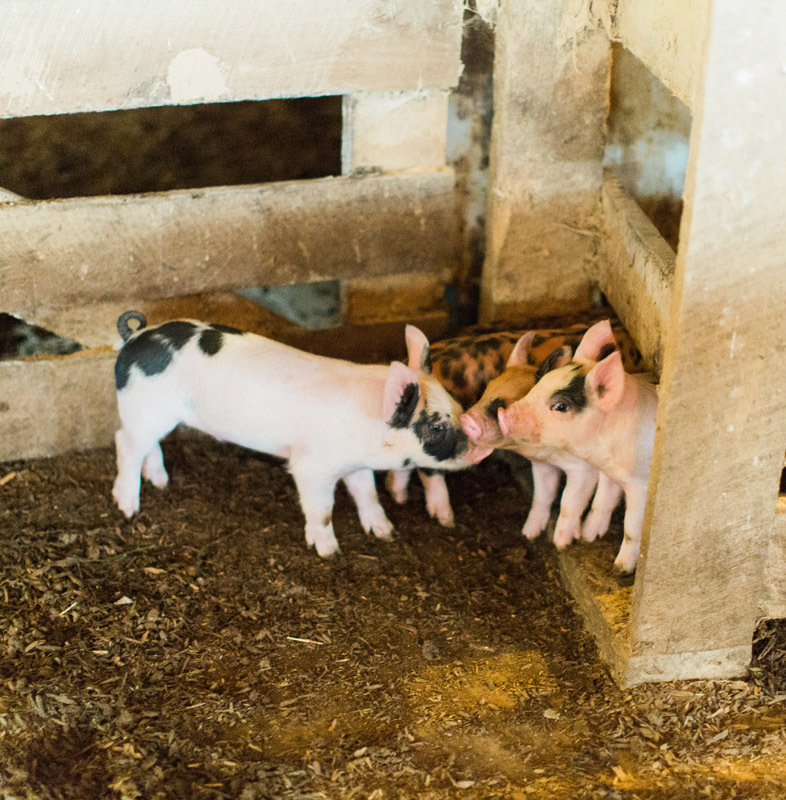 We blend custom non-GMO feeds for piglets and sows on demand. 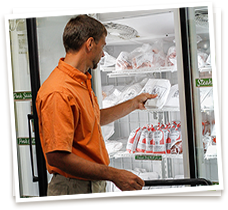 Easily Purchase Sunrise Farms Non-GMO Swine Feed From Four Options. Dealers carry our non-GMO swine feed throughout Virginia. Look for the Sunrise Farms label. Our feed is available for purchase in all quantities at Sunrise Farms storefront, conveniently located just 3.5 miles off I-64 at exit 91. Call ahead to have your non-GMO feed order ready to pick up. Feed can also be delivered right to your door with regional feed delivery and feed shipping throughout the contiguous United States. Feed is sold in 50lb./22.68kg bags and by the ton. Corn, Oats, Roasted Soybeans, Diatomaceous Earth, Salt, Dicalcium Phosphate, Seashell Flour, Sodium Selenite, Vitamin A Supplement, Vitamin D3 Supplement, Vitamin E Supplement, Menadione Dimetylpyrimidinol Bisulfate (source of Vitamin K activity), Vitamin B12 Supplement, Riboflavin Supplement, Niacin Supplement, Choline Chloride, Folic Acid, Biotin, Zinc Sulfate, Manganous Oxide, Calcium Iodate. Contact Us For Non-GMO Swine Feed Today.